Superb & stylish bronzed metal, studded latticework Arts & Crafts ceiling light; gadrooned lower rim and stylish finials across top. A good large size, approx 20" diameter at base and overall height approx 15"; c1900. 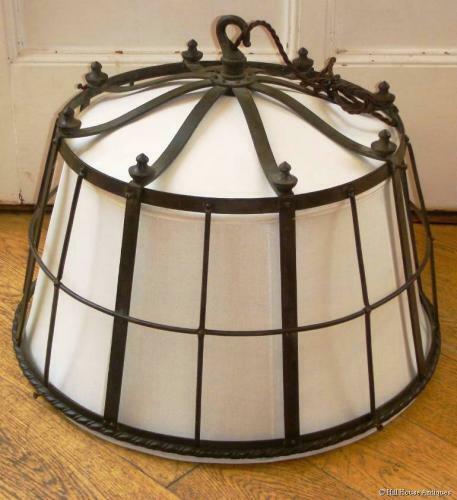 Newly specially made off-white silk shade and professionally rewired for UK use.